The potential of producing high quality sparkling wine in New Zealand was recognised more than 20 years ago by Champagne houses, but the country has not yet realised much of that potential. Champagne Deutz released their first Marlborugh Cuvée in 1990. Cloudy Bay, makers of Pelorus, is owned by Moet Hennessy. And No. 1 Family Estate is owned by champagne maker Daniel Le Brun. But the level of sparkling exports has been declining since 2005, in both absolute terms and as a proportion of total exports. In 2005 sparkling exports were more than twice the volume they were in 2011. And in 2005 they accounted for a 5% share of total exports. By 2011 exports of sparkling wine accounted for less than 1% of total NZ wine exports. 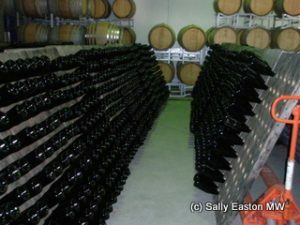 By the 2011 vintage, the total production of NZ sparkling wine was just over 3% of the country’s total wine production. It makes a stark comparison to another cool climate, the UK, where more than 50% of the harvest is now channelled into sparkling production. Instead of high quality traditional method sparklers from New Zealand, a sparkling sauvignon blanc phenomenon has exploded in the last couple of years. This, usually carbonated, sparkler is all about, fun, frivolity and focused varietal definition with bubbles. Pure and simple. It’s not trying to be complicated. Of the 90 producers present at January’s trade tasting, just over a dozen were offering a sparkling wine to taste. And six of those offered sparkling sauvignon blanc, alone or as part of a broader sparkling offering. But why have traditional method sparklers from New Zealand failed to capture UK palates? Cox suggested “not enough producers have been taking the UK market seriously enough.” Cloudy Bay’s Pelorus is probably still the benchmark Kiwi traditional method sparkler in the UK. But if other producers leave it much longer, the UK will have wholeheartedly adopted traditional method sparklers made in the UK, and the Kiwi opportunity may be lost. Of the more affordable tranche of New Zealand sparkling wines, Lindauer ‘Special Reserve’ was a leading light in the UK around the turn of the millennium, and it remains, to my palate, the strongest in the Lindauer line-up, which extends now to about ten bubblies, with not hugely clear labelling differences to easily distinguish them all. One of the great things about New Zealand still sauvignon blanc wine is its broad consistency. The aim of adding bubbles is to preserve that consistency and the grape’s distinct, direct, varietal character, with varying degrees of grassy, citrus, sherbet characters. But the residual sugars also vary, and this is arguably the bigger determinant of style preference. There was much more stylistic variation among the transfer and traditional method bubblies. Of those tasted, the No. 1 Family Estate 2006 was by far and away the best wine. This should come as little surprise, given that it is made by Champagne-making Frenchman Daniel Le Brun, who came to New Zealand in 1975, looking to make sparkling wine. 6.6g/l RS. Grassy, herbal, green pepper, good sauvignon blanc flavours with not hugely persistent bubbles. 12g/l RS. Grassy, sherbet, straight and simple. 12g/l RS. Lots of green pepper in this one. Straightforward and simple. 7.4g/l RS. Ripe lift to tropical spectrum of sauvignon blanc flavour profile. Riper fruit style in a dry overall wine. 60% pinot noir, 40% chardonnay. 12g/l RS. Fruit from Gisborne and Hawke’s Bay. About 24 months on lees. Citrus and strawberry aromas, integrated fresh fruit flavours with the faintest hint of biscuit dough. Balanced and good. Chardonnay, 8g/l RS. Base wine on lees for 8 months. Nine months on bottle lees. Chardonnay. 10g/l RS. Tank method. Fine creamy mousse, with apple, pear and sweet sherbet notes quite reminiscent of an off dry Prosecco. 58% chardonnay, 33% pinot noir, 9% pinot meurnier. 12.5%, 6.8g/l RS. Base wine fermented in stainless steel. Full malo undertaken. Smoke notes amid white peaches. Has attractive freshness, simplicity and vitality. And at this price is pretty good value. 61% pinot noir, 39% chardonnay. 8g/l RS. Attractive creamy mousse, with melon, apples and pear fruits. Well balanced again with fruit-focused simplicity of definition. Good value. 50% chardonnay, 50% pinot noir. 7.3g/l RS. Base wine fermented in stainless steel and old French oak. Base wine on lees for 8 months. On lees in bottle for 2 years. Perky citrus fruits with a bit of banana thrown in. Straightforward, fruit-forward style, well balanced. Pinot noir. Base wine fermented in French oak. On lees in bottle 3 years. Spicy and black peppery amid pert apple and pear fruits. Straight down the line. 100% chardonnay. 4g/l RS. Some biscuity notes here combine with primary fruits of citrus and melon. Fermentation of base wine 50% in French oak and 50% in stainless steel, plus maturation of 12 months. Three years on lees in bottle. 50% chardonnay, 50% pinot noir. 6g/l RS. Very toasted on the palate, giving a slightly oily texture to this rich, full and fat style. Not a style I find particularly refreshing, but clearly complex and broad. Chardonnay, pinot noir. Fresh with lemon sherbet, smooth citrus in an elegant profile, though the mousse is a little short. 60% pinot noir, 40% chardonnay. 7.5g/l RS. Base wine fermented in stainless steel and old French oak. Base wine on lees for 9 months. On lees in bottle for 3 years. Distinct yeasty spiciness here, combining bright fresh fruits with creaminess and a well-proportioned fine mousse. Good. Chardonnay. 7g/l RS. On lees in bottle for 2 years. Citrus, herb and fresh yeast nose, with preserved lemon notes and real complexity coming through on this wine. Ambitious, delicately balanced with focused flavours. Long and very good. This is really jolly nice. Chardonnay. Base wine fermented in stainless steel. On lees for 7 years. Smokey, buttery notes, leesy and creamy fatness in broad, sweet-baked lemony body. Well-proportioned with long finish. Big, fat style and good for that. Pinot noir. 5g/l RS. On lees in bottle for 2 years. Pale rose petal, fresh strawberry fruits. Straight down the line. Pinot noir. 5g/l RS. Base wine on lees for 9 months. On lees in bottle for 20 months. Bright redcurrant and strawberry notes. Intense and concentrated fruit flavours, like black pepper accentuates strawberry sweetness. Good. How are you? I noticed the price point you tasted through was £12 to £26. I also noticed you didn’t rave about any of the wines. Were there products you tasted at higher price points (£38 to £63) that impressed your palate? I am not suggesting higher price dictates higher quality, however, do you think this is the case with sparkling wine in this region? Hi Rowan, I tasted everything that was being shown at the trade tasting. Rave? Mmm. I did highlight No. 1 Family Estate, Virginie Cuvée. To my mind I raved enthusiastically about this one. I suppose it’s hard to really read enthusiasm. As I re-read you review of Virginie Cuvée, you pinpoint characteristics I really enjoy in sparkling. I appreciate ‘ambitious’ and ‘delicate’ in the same sentence! One more thing. 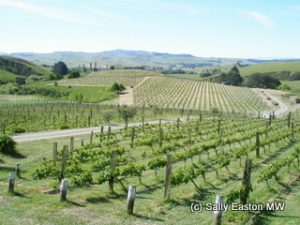 Can you comment on exports of these wines and target markets outside NZ? Disregard that last question, please? You answered it in the second paragraph. Coffee wasn’t working! Am studying for WSET Dip Unit 5 and finding it difficult to find info on the history of Sparkling Wine production in New Zealand. Any direction would be appreciated. Hi Mairin, Thanks for posting. If it were me I’d probably start with the basics e.g. http://www.nzwine.com and their office in your country to see what info they have. Then follow up on all the leads you gather from them. Write to key / longstanding producers directly if you’re struggling with authoritative information. I have come across two websites which have given me enough information, I think, to give an answer to a question on New Zealand some context. There is a little conflict re dates of ‘launch of first sparkling wine’ but other than that I’m happy enough. The sites are http://www.stuff.co.nz/southland-times/life-style/wine/4417781/Saluting-Selaks-Lets-drink-to-the-Dallies and http://www.kumeuinfo.co.nz/history_winery_history in case anyone else is in the same boat as myself. All the best!